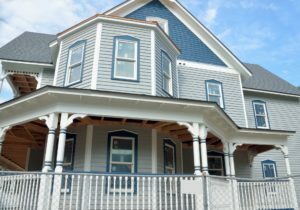 Spokane Home Builders, Building Custom Homes in WA, ID, Coeur d'Alene - Affordable Construction. Superior in Every Way. Introducing beautiful, new home construction material that’s perfect for everyone. We believe that new construction on homes should be fast, environmentally friendly, energy efficient, durable, customizable, beautiful, and affordable. The PermaPanel® is your perfect solution. Due to the strict nature of regulations and our own rigorous standards, The PermaPanel is undergoing the final stages of testing— and we’re seeing great results! Check back often for updates. Each PermaPanel integrates multiple construction divisions into one panel, allowing you to eliminate framing, insulation, vapor barrier, exterior sheathing, and drywall. With the PermaPanel, an average house can now be enclosed – from foundation to roof – in as little as a week! The PermaPanel removes the need for expensive specialists, or costly tools and equipment. Truly made for the Do It Yourself man. Each PermaPanel integrates multiple construction divisions into one panel. When building your next project using these panels, there is no need for 1) framing, 2) insulation, 3) vapor barrier, 4) exterior sheathing, or 5) drywall. The time and cost savings are substantial. Think of the cost savings of removing up to five materials and contractors. The second cost savings comes from drastically eliminating the construction period. Let’s say you’re in Spokane. 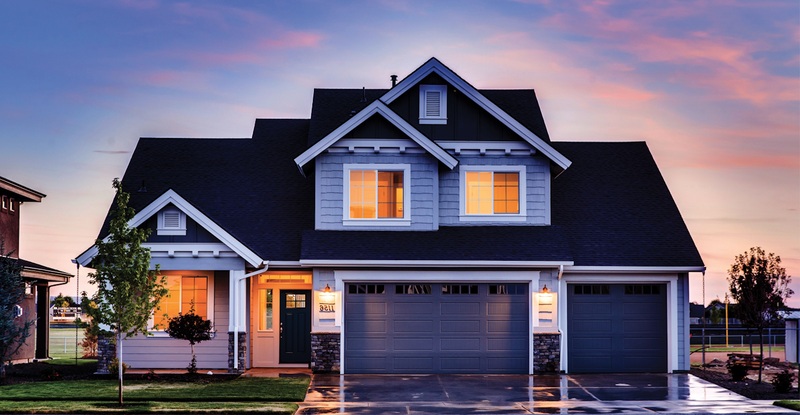 Your Spokane home builders get your house plans, gets a small crew, and in a few days—the work is done. To break this down a bit more, a new home of about 2,500 square feet can be fully erected and enclosed in as little as 2.5 days with a crew of four people of medium skill. The foundation requires an additional 2.5 days. Thus, an average house can be enclosed – from foundation to roof – in as little as a week! And finally, time is saved because the trades such as electricians and plumbers can begin work immediately after the house has been enclosed and do not need to wait for framers, insulation professionals, and drywall installers. Those other trades, such as your plumbers and electricians, also don’t have to worry about ruining the structural integrity by making a wrong cut. If we take the Spokane home builders example above, and you have your Spokane SIPs contractor do a beautiful job with the SIPs framing, but then one of the other contractors makes a horizontal cut in the SIP, the panel is ruined. Expensive preplanning is required as well as custom manufacturing. It’s a similar thing with your Spokane ICFs contractor. Cuts, of course, won’t matter—but the extensive preplanning will. It’s all too easy to miss something and suddenly be weeks and thousands of extra dollars behind. Plus, drilling through traditional concrete requires expensive, specialty tools. What this means is again, higher costs. Custom manufacturing is, of course, possible with PermaPanels, however—it’s not necessary. And furthermore, it doesn’t matter which way the panels are cut, so long as they can still interlock. What this means is faster, more affordable construction all the way from house plans to home. You might be asking, but won’t those other tradesmen need specialty tools then as well? The answer is no. The same tools needed for traditional stick frame construction work just as well on PermaPanels. The third and final major cost savings area is that a small crew of medium skill is able to build your next project. There is no need to hire expensive specialists or wait on a small pool of out-of-town, certified professionals. In addition, you do not need to purchase costly tools or equipment to install the PermaPanel system. A DIY-minded person can realize even greater savings. These reasons, and more, are why you can build your next house, shop, or office and save money in the process! And of course, there are the long-term savings from lower utility prices building owners will appreciate month after month. If you are someone who wants the most durable and efficient house money can buy, and would like to save cost on construction, we have the answer. It’s time to improve the way our homes and buildings are made. It’s time to bring the cost down for construction while enhancing quality. And that time has finally come. Introducing PermaPanel (patent pending), a revolutionary building system that gives you a superior building for an affordable price. A whole house – foundation, exterior walls, interior walls, floors, ceilings, and even stairs may be constructed using PermaPanels, or a combination of PermaPanel and other building methods. PermaPanel combines the best features of the SIPs (structurally insulated panels) and ICFs (insulated concrete forms), but actually makes it affordable. See, here at Benson Bondstone, we believe in empowering people. We believe in empowering people to build their dream home without ruining themselves financially. We believe that fires, floods, months-long relief efforts should be a thing of the past. We stand behind these beliefs—it’s why we do what we do. Here’s the best part—all these things we believe in can happen. How, is by building homes and buildings that take advantage of the best construction technologies available, such as SIPs and ICFs and other panel construction, but making it even better, safer, and most of all—affordable. Virtually any structure can be built, in whole or in part, using PermaPanels. Houses. Shops. Barns. Garages. Greenhouses. Office space. Retail space. Warehouses. Hotels. Apartments and condos. Hospitals. And more. Each PermaPanel has been precision made in a quality controlled environment to give you dependable results at an affordable price. Benson Bondstone has handpicked a team of qualified building experts – engineers, scientists, chemists, architects, and contractors – to make our dream of affordable, superior construction a reality. We have met many milestones in our journey and are encouraged with the results thus far. Our final prototype is underway, and we are very excited watching the process. A final round of testing will be performed to ensure the PermaPanel is the perfect choice for your future home. Due to the strict nature of regulations and our own rigorous standards, The PermaPanel is undergoing the final stages of testing— and we’re seeing great results! * Disclaimer: Project costs may differ depending on various factors. However, based on average construction costs throughout the United States, the PermaPanel building system is often comparable to costs of traditional construction, and in many instances even less. The PermaPanel will be offered in various parts of the Northwestern region, including Washington, Idaho, and Montana. If your city isn’t listed below these states, please contact us. We’d love to serve you. We will periodically send out emails so you can stay updated on our latest product, the PermaPanel. We won’t sell or give your email to any third-parties.